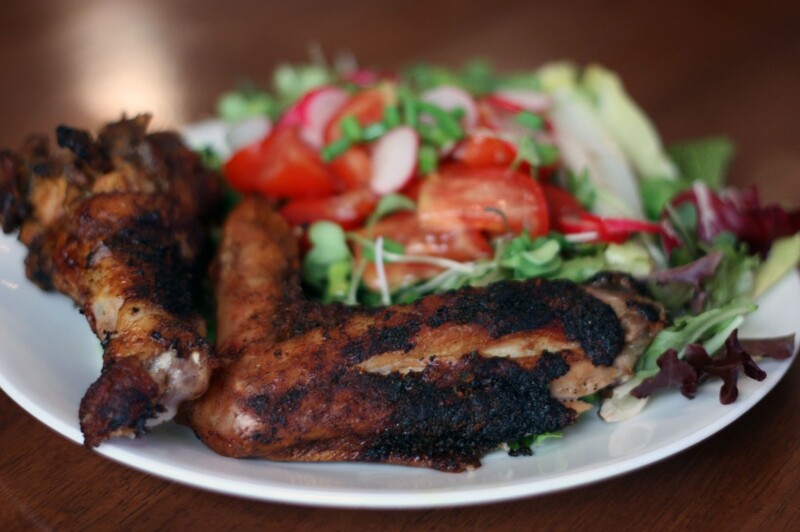 Rescuing uninspired and hungry people from food-mediocrity one flavorful paleo recipe at a time! To continue my love affair with my new BBQ, I grilled up some turkey tonight. 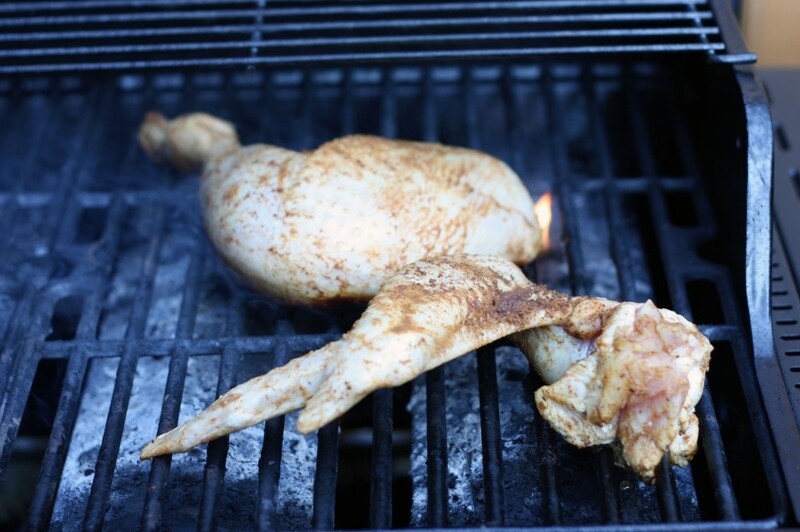 A few months ago I deconstructed a turkey and this weekend I pulled out one of the leftover turkey legs to grill. I did a cheater brine using leftover olive juice from a giant Costco jar of olives. Stuffed with garlic. Amazing. 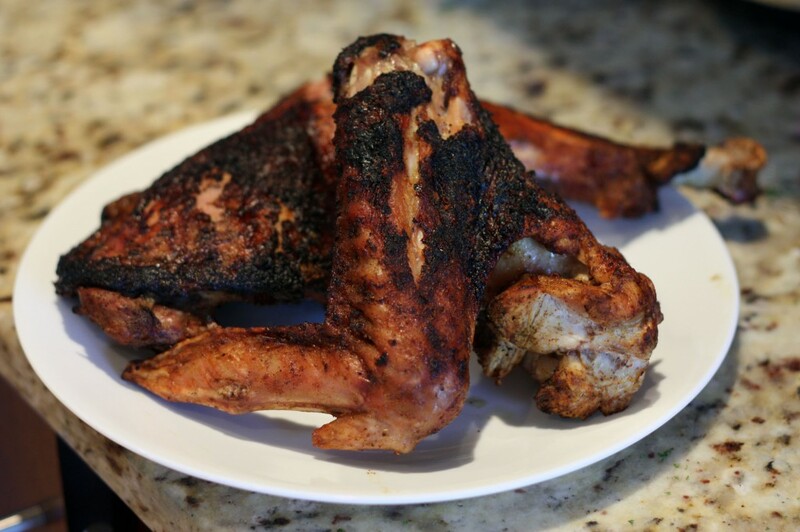 I rubbed the meat with the spice rub from Well Fed’s Best Chicken You Will Ever Eat. 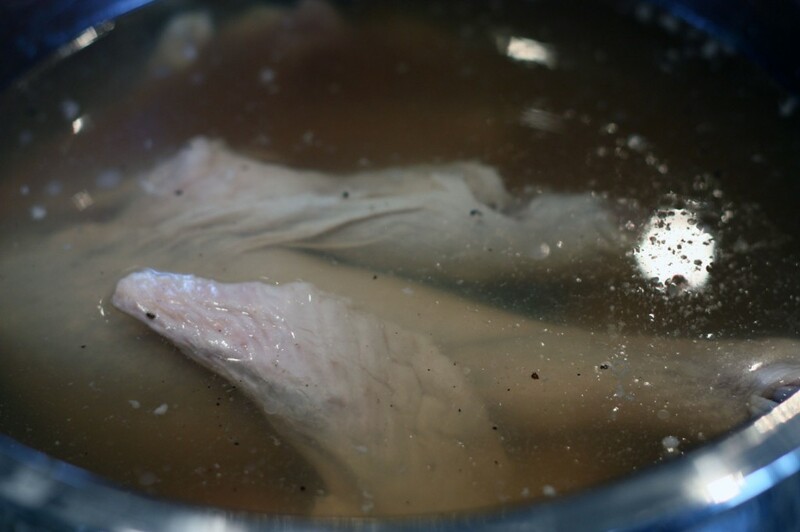 Brine it overnight, or for 6 hours in the fridge, like I did. 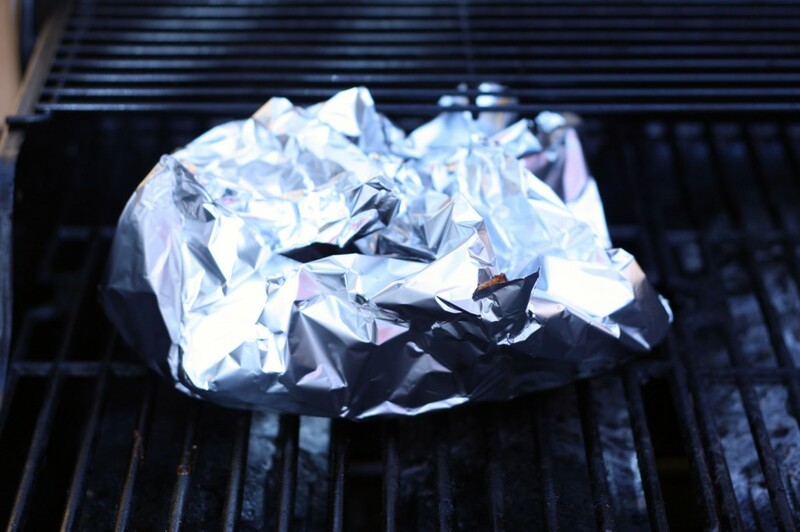 It started to get dark on the outside long before the inside so I wrapped it with foil and put it back on. It took about 30-40 minutes. I used a meat thermometer to test for doneness. Let it rest a bit while you prep and plate your side dish. I made a salad as it was CSA delivery week and I have a fridge overflowing with veg. Turkey does not have to be limited to a being roasted whole in the oven! Mr. Foodie ate his weight in turkey. The Kiddo liked this too. He found it hilarious to peek through the wing bone and say “I see you Mommy!” The only bad part is that it was so delicious there are no leftovers for lunch tomorrow.